The Monster courts his fiancée, a doomed proposition, on this gorgeous French poster from 1935 by Joseph Koutachy. There’s precious little information to be found about this prolific poster artist. Art sites note Koutachy’s birth as 1907 either in Yugoslavia or in France, of Yugoslav descent. He is often listed, simply, as “European”. He is believed to have passed away in the late 70s or early 80s. As a fine artist, he is remembered for his atmospheric forest landscapes often featuring, upon careful examination, the single small figure of a woman in black skirt and red blouse. He is also remembered for an iconic poster for the French Lottery showing a horn of plenty spilling gold coins. 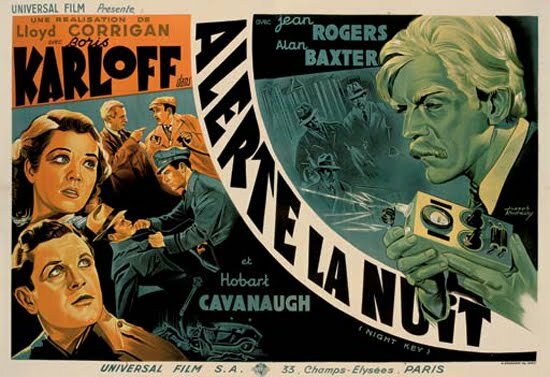 As a film poster artist, Koutachy’s career spanned at least four decades. In the horror genre, his work begins with Universal classics such as The Bride of Frankenstein (1935) and Dracula’s Daughter (1936), and runs all the way to Hammer’s Brides of Dracula (1960). 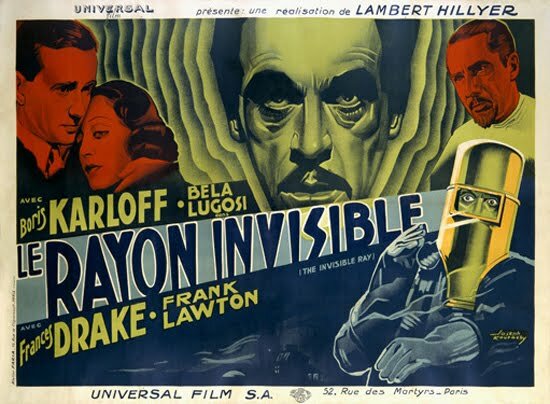 Here, rectangular posters for The Invisible Ray (1936) and the Karloff thriller Night Key (1936) show off Koutachy’s bold compositions and striking color choices. Koutachy’s Bride poster is another beautifully composed image, its two figures creating balance. 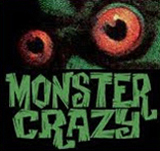 With heavily textured, ruddy complexions, Bride and Monster are warmly alive, their joined hands becoming part of the film’s title. Note the sketched-in background with lab glassware and Dr. Pretorius’ tiny ballerina in a jar, lending a note of whimsy and surreal poetry. The Fiancée de Frankenstein poster was sold at auction through Christies of London for a hefty $35,730, an amount bound to appreciate considering the subject matter — golden age horror classics being highly desirable — and the sheer beauty of this particular poster. French Magazine cover of The Bride, from 1935. Newspaper ads for La fiancée de Frankenstein. 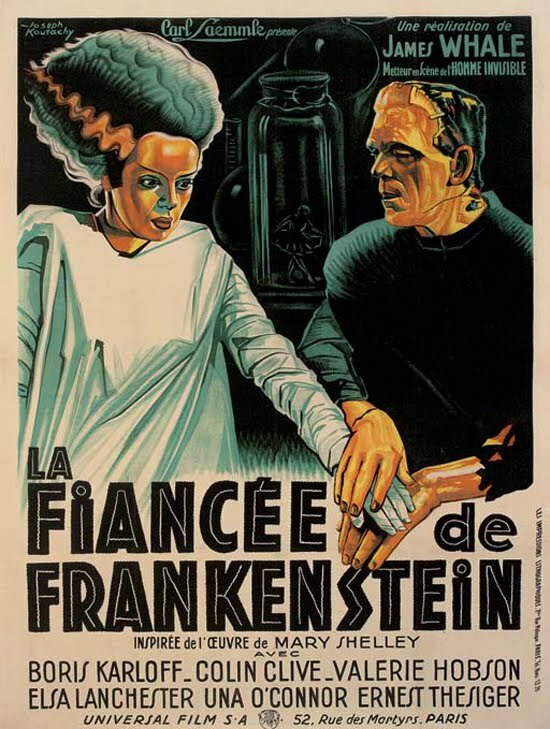 The 2008 re-release posters for Frankenstein and La fiancée de Frankenstein. 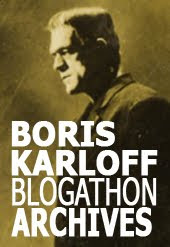 What I find striking is how hard it is to find Karloff in the last two posters! He's not noted as a master of disguise, but he could fool me. I have a 1950s Three Stooges poster he Illustrated.